Popular Mechanics recently posted an article in which they listed "101 Gadgets That Changed The World," as selected by a panel of expert judges. To make the list, a gadget had to be something you could hold in your hands, mechanical or electronic, and a mass-produced personal item. So besides the personal computer and the smartphone, what made the cut? Astoundingly, with very few exceptions, the overwhelming majority of these items were invented within the past 100 years. 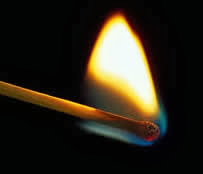 The match: The first nonpoisonous match wasn't invented until 1910. Before that, a book of matches packed enough toxic white phosphorus to kill a person. Sunglasses: Ten years after founding the Foster Grant plastic company in 1919, Sam Foster decided to focus to a new consumer product - sun-blocking eyewear. Voila! America's first mass-produced plastic lens sunglasses. The blender: Who doesn't like a frozen Margarita? The blender wasn't invented until 1922, but it was Fred Waring who made the device popular by introducing the Waring Blender in 1937. The zipper: The modern zipper didn't come about until the 1920s, when Goodyear put an improved version of the fastener on its Zipper galoshes. The Zippo lighter: The Zippo was born in 1932. Considered indispensable, it was issued to our troops during World War II. It has become a collectible. I don't smoke and I carry one around. It makes me feel cool in a retro sort of way. The sewing machine: Singer unveiled a portable version of the machine at Chicago's 1933 Century of Progress fair. The ballpoint pen: The Reynolds Rocket, America's first ballpoint pen, cost $12.50 when it went on sale at Gimbels in 1945. Adjusting for inflation, that equals about $150 today. The printer: Hewlett-Packard's LaserJet cost $3500 when it came out in 1984. That's $7,932.91 in today's money. My personal favorite? The handheld GPS. Initially, GPS was the nav system for the U.S. military. The government opened up GPS for civilian use in 1983. Magellan sold the first handheld unit in 1989. Before GPS I didn't go anywhere without a map. I had 10 different road atlases in my car. Going any place new filled me with anxiety. Now I am a fearless road warrior.